FS2004 Sikorsky X2 Technology Demonstrator. Experimental aircraft combining several tech nologies to produce a vehicle with low speed helicopter characteristics but capable of cruising at 250 knots. Aircraft recently broke the helicopter speed record. Complete package except sound. 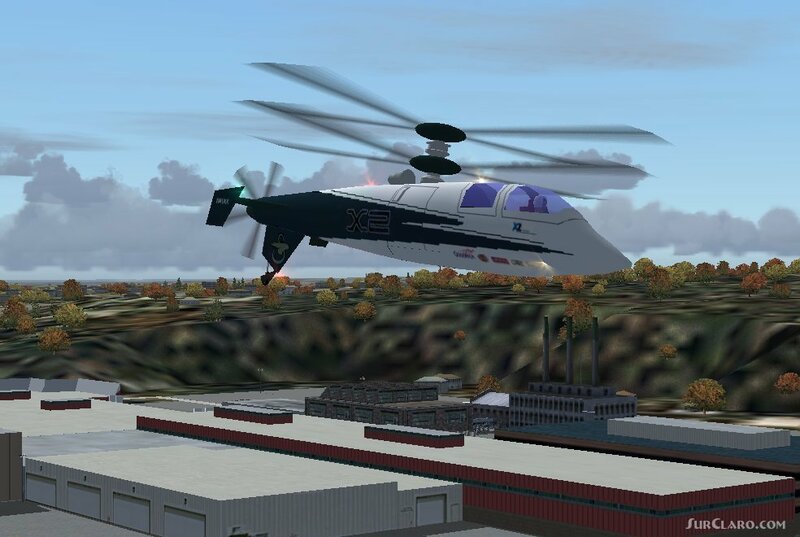 Aircraft will reach 250 knots in flight simulator 2004 yet flies like a well behaved helicopter at lower speeds. developed by David Allan. FS2004 Sikorsky X2 Technology Demonstrator. Rating: 7.67 of 10 over a total of 3 reviews. I absolutely love this machine. Flew to Mt St. Helens, landed on the peak. Best control rotorcraft at 1ft. hover with 360 pan. Need interior cockpit virtual. Great plane You can take off like a Cessna and bring it down helicopter. This helicopter has no VC, but still is great to fly. It little hard land, give yourself plenty of time slow this bird before you try vertical landing. 9 out 10 for unique panel lack VC.